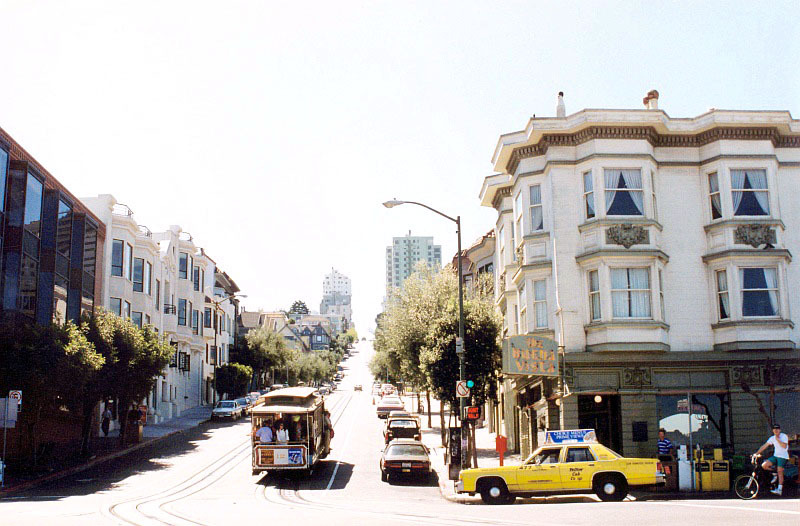 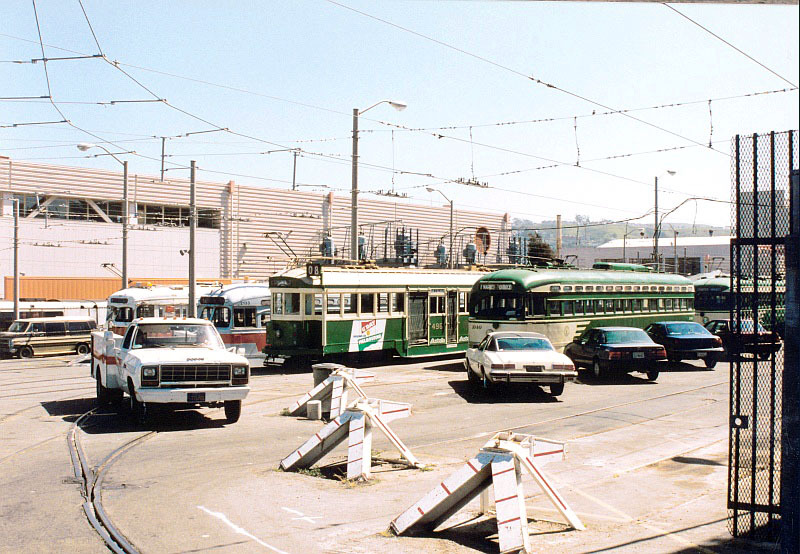 We continue our San Francisco saga with a few more photos, this time from April, 1991. 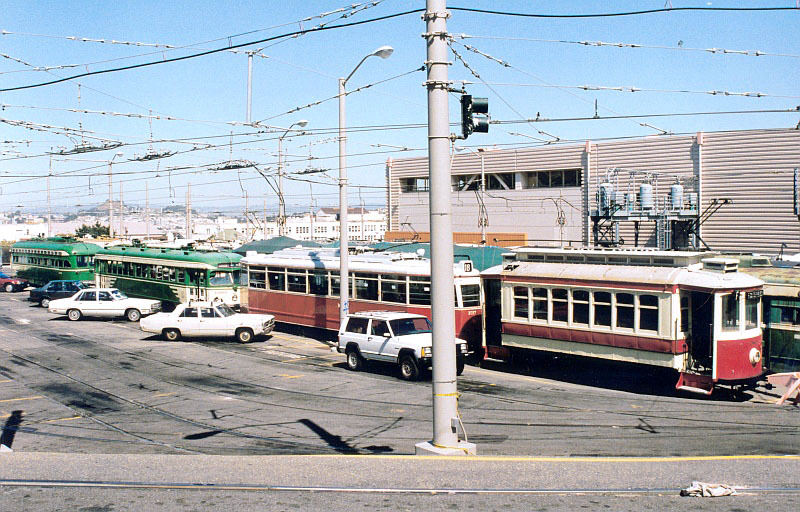 This set includes both cable cars and streetcars. 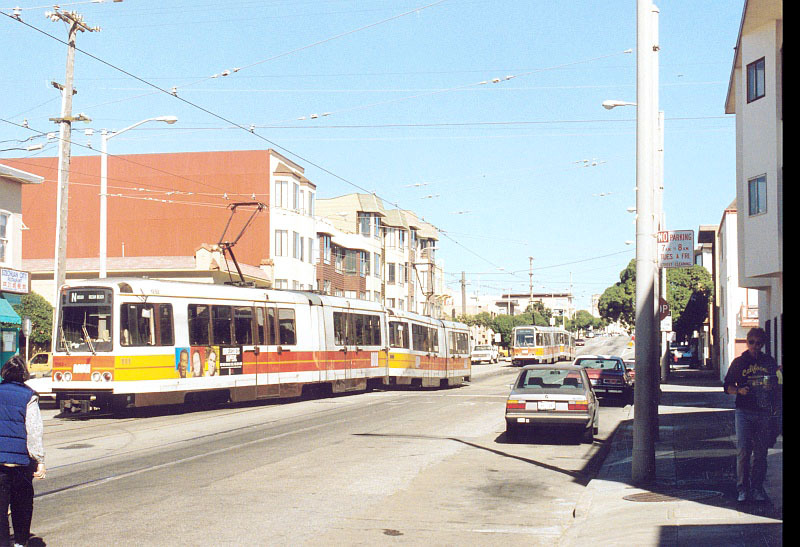 Streetside view at the end of the line on Judah (4/91). 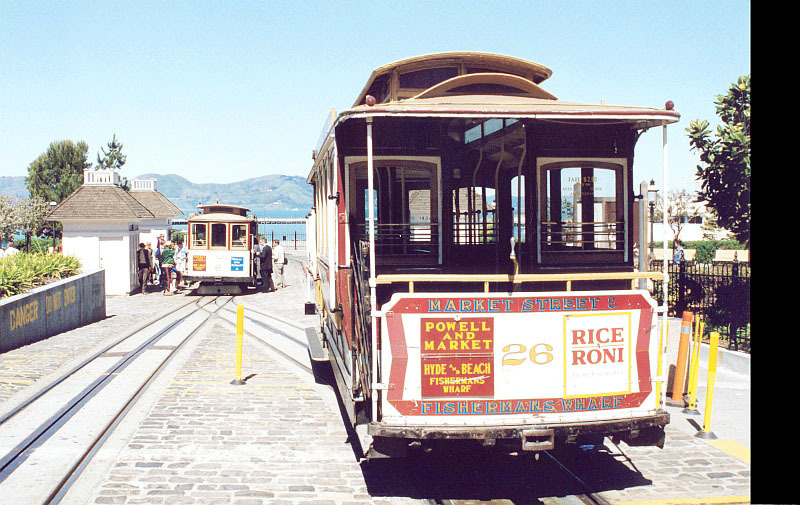 Cable car #26 at the end of the line, adjacent to Ghirardelli Square (4/91). 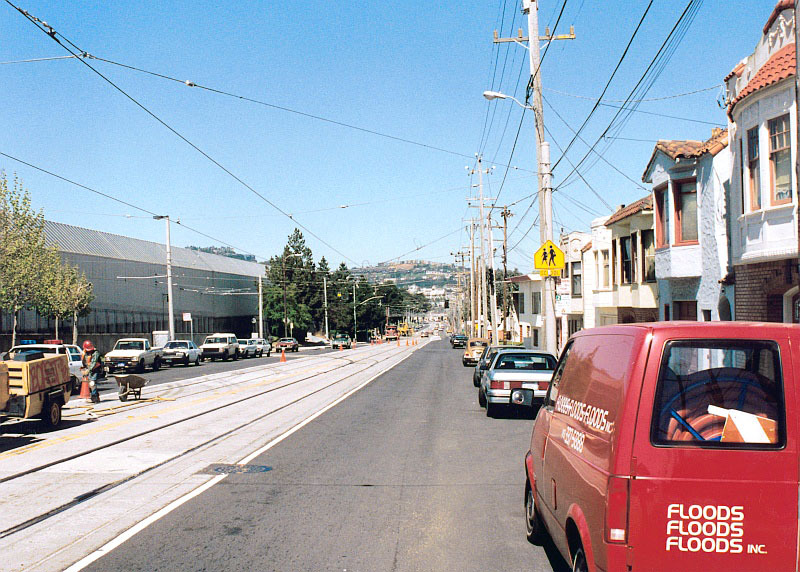 Same spot, looking uphill at another departing car. 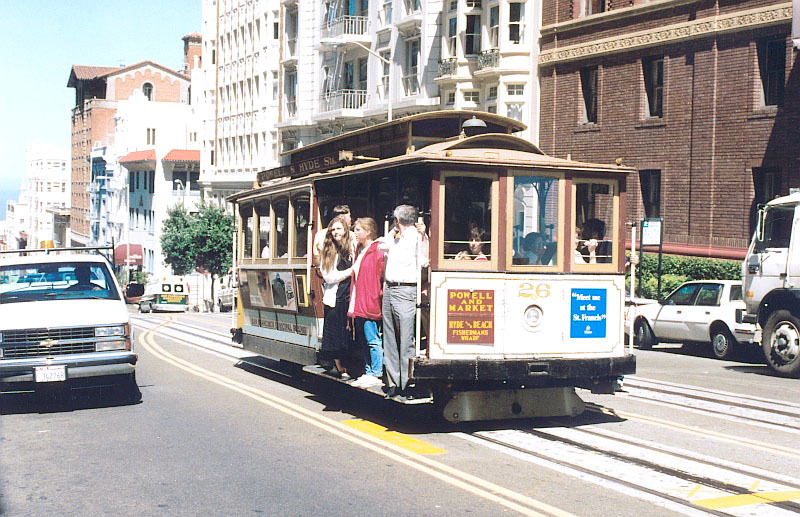 A bit further up the hill, #26 heads inbound (south) towards downtown. 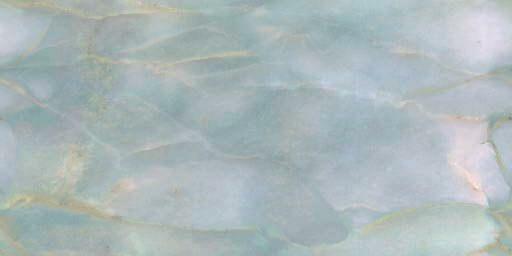 Second to right, a recent arrival from Australia. 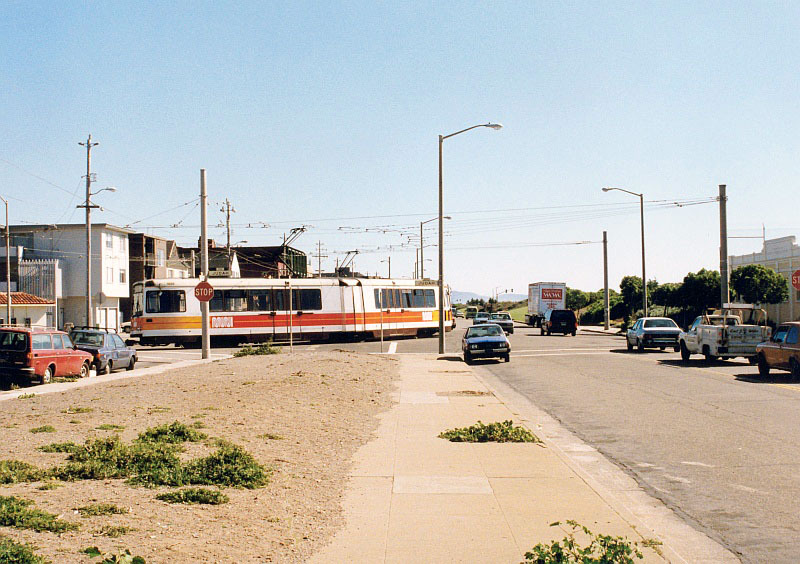 Work being done on the "J" line extension from Church to Geneva via San Jose (4/91).